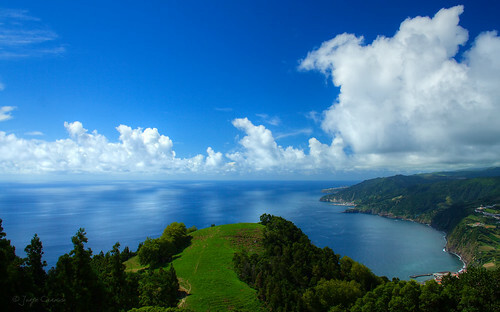 county of Povoação of San Miguel Island, Azores. This geological accident has it's highest point at 310 meters high above sea level. [PT] Whagb qr hzn áeiber! [EN] Arkg gb n gerr!